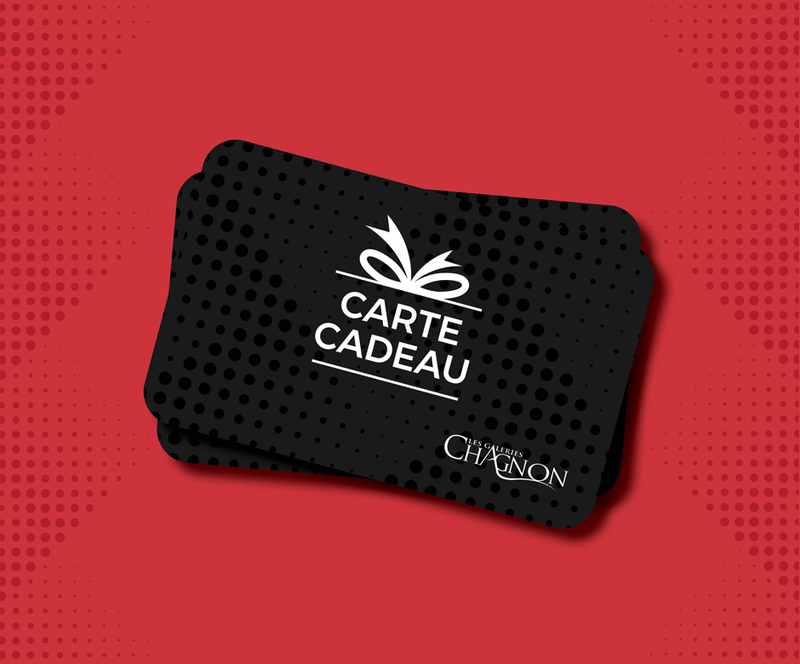 Get a Galeries Chagnon gift card! Gift cards range from $10 to $500, so you can give the amount you want! We accept many methods of payment, such as cash, debit card, Visa and Mastercard. Head to the Guest Service (near entrance 13) to get one! 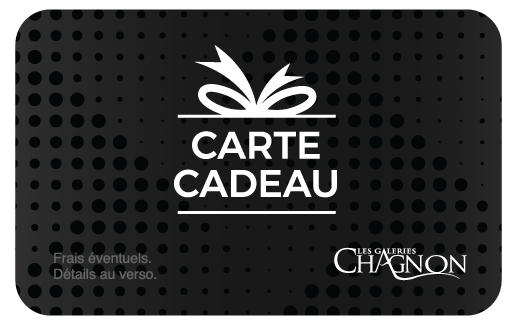 *For technical reasons, the following merchants do not accept gift cards: Loto-Québec, Jolis Ongles, some restaurants and store concessions. The Card is subject to terms and conditions stated in the Cardholder Agreement. An additional copy of the Cardholder Agreement may be obtained from the service representative prior to purchase. Unless prohibited by law, the Card is subject to a monthly maintenance fee, which will be assessed automatically against the Card in the amount and on the timing stated on the back of the Card. The name of the card issuer, as well as a tollfree phone number to make inquiries are also stated on the Card back. Please note that funds do not expire, the Card is not reloadable, not redeemable for cash, unless required by law, and is not CDIC or DICO insured.